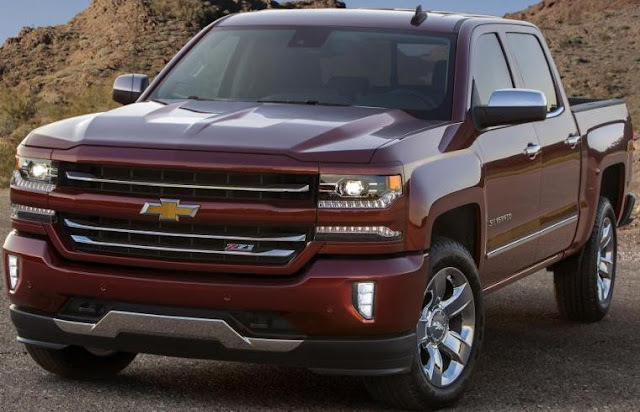 The 2016 Chevrolet Silverado 1500 full-size pickup (above) will get a new front end design including bumpers, more 8-speed automatic transmission options, updated Chevy MyLink with support for Android Auto and Apple CarPlay, LED “C-shaped” signature daytime running lights, and LED headlights, taillights and fog lamps when it arrives in the fourth quarter of this year. The new 2016 GMC Sierra will be available in the fourth quarter of this year, with additional details and information on the new model released in the coming months. 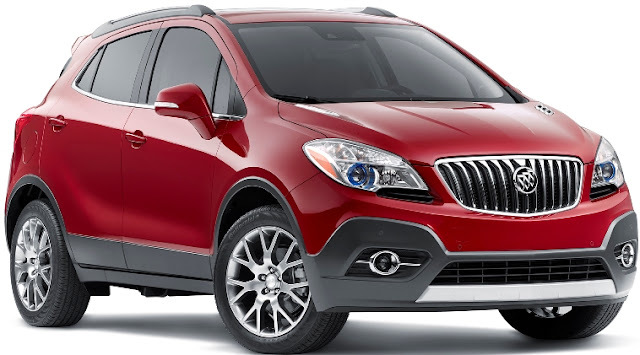 The 2016 Buick Encore Sport Touring with an all-new 153 horsepower direct injection 1.4L turbocharged engine matched with a six-speed automatic transmission goes on sale this Fall. All-wheel drive, a premium Bose® audio system, navigation radio and a moonroof are available. The 2016 Hyundai Tucson, 3.0 inches longer and 1.1 inches wider than the previous model, powered by 164 horsepower 2.0-liter, direct-injected four-cylinder engine coupled to a six-speed automatic transmission with SHIFTRONIC™ manual shifting mode, goes on sale this month with a starting price of $23,595 (including $895 freight charges) for the FWD SE model with EPA fuel economy rated at 23 mpg (city), 31 mpg (highway), and 26 mpg (combined). The FWD or AWD Tucson comes in SE, Eco, Sport and Limited trim levels with the latter three available with a more powerful engine. 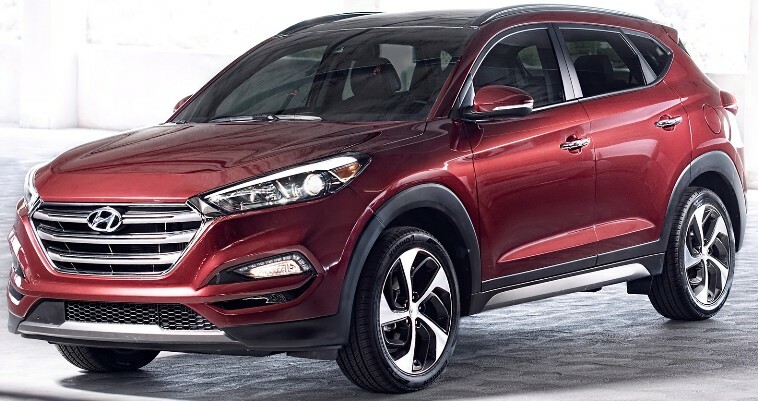 The top-of the-line AWD Tucson Limited with the 175 horsepower 1.6L Turbo 4-Cylinder engine mated to a 7-Speed EcoShift Dual Clutch transmission starts at $32,195. The J.D. Power 2015 U.S. Automotive Performance, Execution and Layout (APEAL) Study, in its 20th year, measures how gratifying 77 ownership and driving attributes are in a new vehicle. The average APEAL Index score in the non-premium segment (790) has improved by 5 points from 2014, while the average score in the premium segment (841) has improved by only 1 point. Porsche ranks highest in APEAL for an 11th consecutive year, with a score of 874 index points, followed by Jaguar (855), BMW (854), Mercedes-Benz (853) and Audi (852). MINI is the highest-ranking non-premium brand in the study with a score of 825. The 2016 Mazda CX-3 subcompact crossover with a 146 horsepower SKYACTIV-G 2.0-liter engine, going on sale in mid-August, starts at $20,840 (including $880 for destination and handling) for the Sport trim, $22,8840 for CX-3 Touring model and $25,870 for the CX-3 Grand Touring. EPA-estimated fuel economy for front-wheel drive models is 29 mpg city/35 mpg highway/31 mpg combined and 27 mpg city/32 mpg highway/29 mpg combined with i-ACTIV AWD which is a $1,250 upgrade. The Touring Technology Package is $1,410 and the i-ACTIVSENSE safety package with Mazda Radar Cruise Control, Smart City Brake Support, Smart Brake Support, High Beam Control System, Lane Departure Warning System, rain-sensing wipers and auto on/off headlights is $1,920. All CX-3 models come with MAZDA CONNECT™, a seven-inch, full-color touchscreen infotainment suite that is integrated with a commander control knob and Bluetooth hands-free phone pairing and audio streaming. All 2016 CX-3s also have backup camera and push-button starter as well as power windows, power door locks and remote keyless entry. The new Toyota Mirai hydrogen fuel cell electric vehicle will offer an EPA-estimated 67 miles per gallon equivalent (mpge) city/highway/combined when it hits dealerships in California this Fall, and an EPA-estimated driving range rating of 312 miles on a single fill of hydrogen. General Motors' Chevrolet, Buick, GMC and Cadillac dealers in the United States delivered 259,353 vehicles in June 2015, a drop of 3 percent. It was GM's best June for retail deliveries since 2007 climbing 6.8 percent year over year. 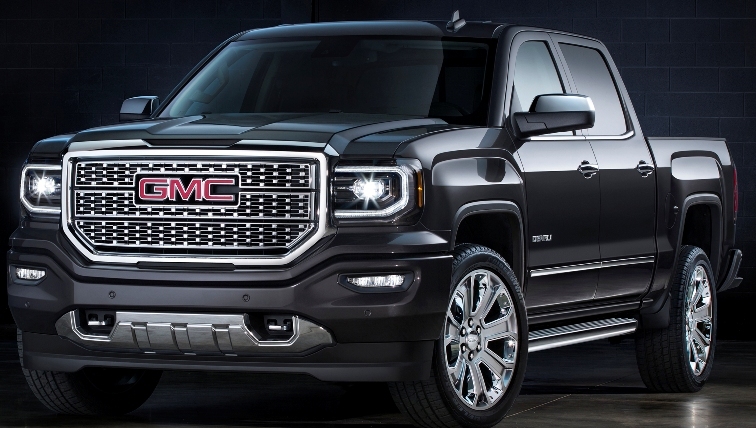 Year-to-date General Motors sales of 1,505,545, up 3.4 percent from 2014. Ford Motor Company total U.S. June sales of 225,647 vehicles sold was a 1.6 percent gain over last year. Year-to-date sales of 1,293,621 is a 1.9 percent increase over 2014. Toyota Motor Sales, U.S.A. reported June 2015 sales of 209,912, an increase of 4.1 percent from June 2014. Toyota division posted June 2015 sales of 183,791, up 3.1 percent. Lexus reported June sales of 26,121, up 11.1 percent from June 2014. For the first half of the year, TMS reported sales of 1,231,440, up 5.6 percent versus the same period in 2014. FCA US (Chrysler, Jeep, Dodge, Ram, Fiat, Alfa Romeo) reported U.S. sales of 185,035, an 8 percent increase compared with sales in June 2014 for the group’s best June sales since 2006. Year-to-date sales of 1,082,143 is a 6 percent gain over 2014. American Honda reported June 2015 Honda and Acura vehicle sales of 134,397, an increase of 4.2 percent. Year-to-date sales of 739,436 is a 1.8 percent gain over last year. June Honda brand sales reached 118,870 for a gain of 0.9 percent. Acura division June sales of 15,527 is a 33 percent jump. Nissan Group announced total U.S. sales for June 2015 of 124,228, an increase of 13.3 percent for a June record. Nissan Division finished June with 114,243 sales, up 13 percent and also a June record. Infiniti June sales of 9,985 is up 16.5 percent over last year. Year-to-date Nissan Group sales of 736,483 is a 4.5 percent gain over 2014. Hyundai Motor America reported its best June sales ever of 67,502, up less than one percent, surpassing the record-setting month of June 2014. Year-to-date sales of 371,150 represents a 1.8 percent increase and marks Hyundai’s best opening six months ever. Kia Motors America had its best-ever June sales of 54,137 vehicles, up 6.9 percent. Year-to-date Kia sales are 310,952, up 4.6 percent, the best first half in company history. Subaru of America reported record sales for June 2015 totaling 44,335 vehicles, a 7.2 percent gain over June 2014. Year-to-date sales of 272,418 vehicles is a 14.5 percent gain over the same period in 2014. Volkswagen of America reported sales of 30,436, up 5.6 percent from last June while year-to-date sales of 174,442 is a decline of 2.6 percent from 2014. Separately, Audi of America reported its best-ever June sales of 18,262 vehicles, an 8.3 percent gain over last June.Year-to-date Audi sales of 93,615 is up 11 percent over 2014. The BMW Group in the U.S. (BMW and MINI combined) reported June sales of 38,350 vehicles, an increase of 7.8 percent versus the same month a year ago. Sales of BMW brand vehicles increased 6.5 percent in June for a total of 32,176 compared to 30,201 vehicles sold in June, 2014. For June, MINI USA reports 6,174 automobiles sold, an increase of 14.8 percent from the same month a year ago. Year-to-date BMW Group sales of 198,883 is a 9.6 percent gain over 2014. Mercedes-Benz USA reported record June sales for the Mercedes-Benz brand at 28,044, climbing 5.8 percent from the same month last year. Sprinter delivered 2,442, a 10.9 percent increase in June with 774 at smart for a monthly total of 31,260 for MBUSA. On a year-to-date basis, Mercedes-Benz retails totaled 164,970, up 8.8 percent. Adding 13,534 for Sprinter and 3,624 for smart, MBUSA achieved a record grand total of 182,128 for the first six months of 2015. Mazda North American Operations reported June U.S. sales of 27,223 vehicles, representing an increase of 3.9 percent versus last year. Through June, Mazda has sold 158,996 vehicles, up 1.6 percent year-to-date. Mitsubishi Motors North America sold 7,963, an increase of 32.3 percent from June 2014. Sales for the first half of the year are 49,544, up 24.9 percent over 2014. Volvo Cars sold 5,984 in the U.S. in June, flat from a year ago while year-to-date sales of 29,367 is a 0.1 percent gain over last year. Jaguar Land Rover North America today reported June 2015 U.S. sales for both brands of 5,860, an 11 percent increase from June 2014. Land Rover sales reached 4,643, up 15 percent and Jaguar sales were 1,217, down 4 percent. Year-to-date in 2015, Jaguar Land Rover U.S. sales are up 16 percent from 2014. Porsche Cars North America June 2015 sales of 4,223 vehicles is up 2.9 percent from a year ago for its strongest June sales month in PCNA history. Year-to-date sales of 25,138 is 9.7 percent higher than 2014.